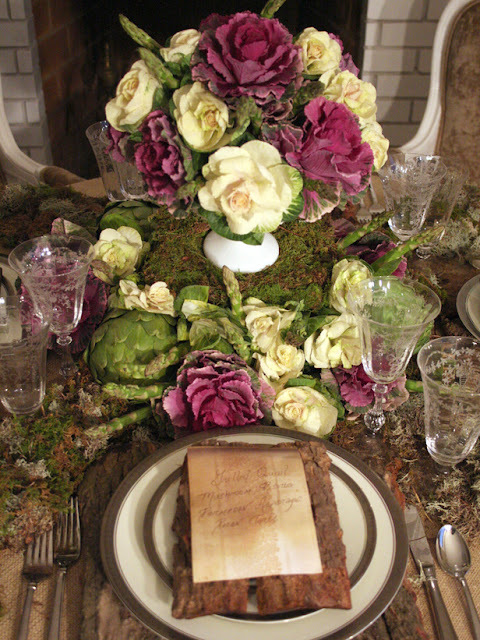 It's the first week of November--time for Flowers on First! Thanksgiving is only three weeks away. 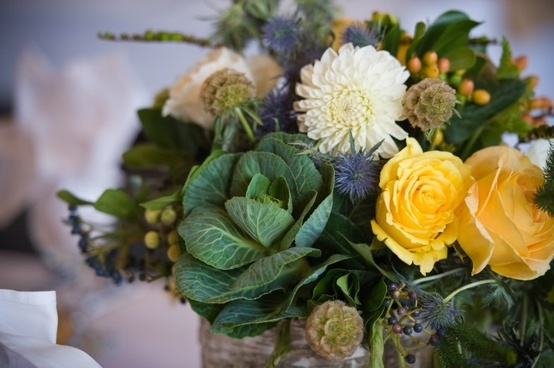 If you're hosting the holiday and need a centerpiece, consider using ornamental cabbage for an autumnal touch. 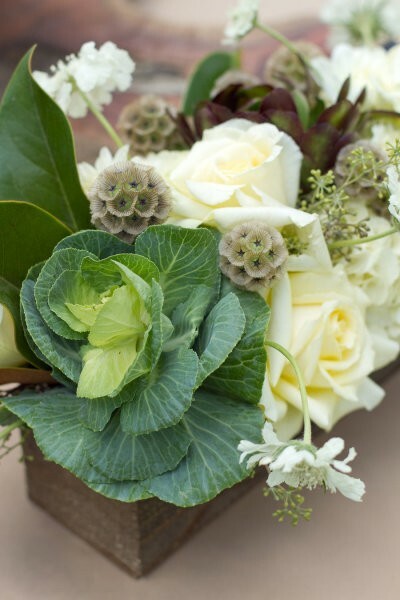 You've probably seen ornamental cabbage in the garden centers and used in pots along with mums. But using them indoors with or without other flowers makes for a unique and beautiful centerpiece.